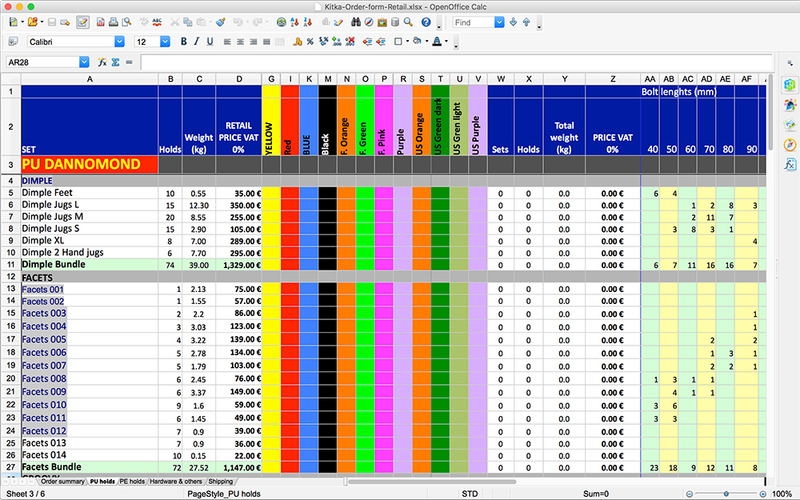 1′ Download the order form in Excel-format. 2′ Send the form by email to sales@kitkaclimbing.com. 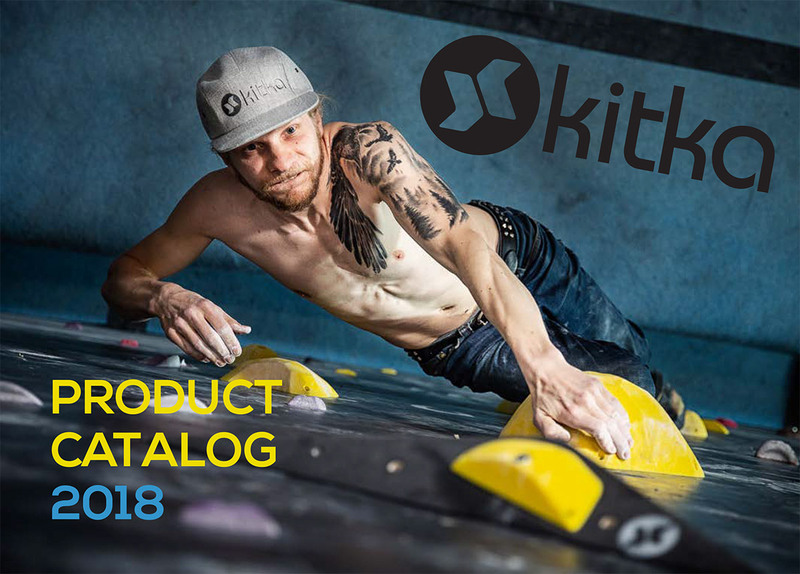 Our products can be ordered by using our webshop or by filling our order form and sending it to us via e-mail: sales@kitkaclimbing.com. If you have any questions, feel free to e-mail us. All orders are confirmed by e-mail. You need to give your e-mail address when making the order to receive the confirmation. When making the order, the customer agrees to the terms of delivery valid at that moment. The order is completed upon successful payment. Payments can be done by advance bank transfer. Our bank information is attached to the invoice you shall receive by e-mail after placing the order. All prices in the web-shop are presented without VAT. For private EU customers Finnish VAT (24 %) will be added. Companies from the European Union with a valid VAT number may purchase the goods without VAT. Please add your VAT number when making the order. We will check the VAT number and send you an invoice without VAT by e-mail. Typical delivery time in Europe is 3 weeks. If you receive goods with shipping discrepancies or any sort of damage, please contact us immediately by e-mail: sales@kitkaclimbing.com. Discrepancies must be reported within 7 days of receiving the shipment. In case you wish to return any un-damaged products, you can do that at your own expense. A refund is allowed only for unused and undamaged products. We have the right to charge a restock fee up to 15 % of the purchasing value, depending on the condition of the packaging materials.